Cold Spring Harbor, N.Y. – ALS researchers and others from CSHL gathered to welcome Chris Pendergast and his ALS Ride for Life team to campus on Monday, May 16, marking the end of Day 7 of an annual 12-day, 100-plus mile patient wheelchair ride across Long Island to raise money for ALS research, support and awareness. This was the first time the Ride included a stop at CSHL, following a generous research grant from the organization last year. 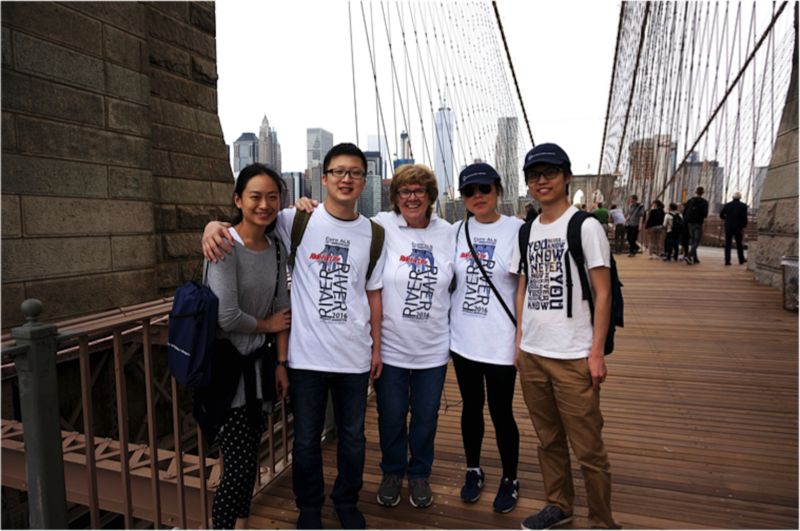 Several researchers from the lab of CSHL Assistant Professor Molly Hammell joned the Ride on Saturday, May 21 for the final leg of their journey, across the Brooklyn Bridge into Manhattan. 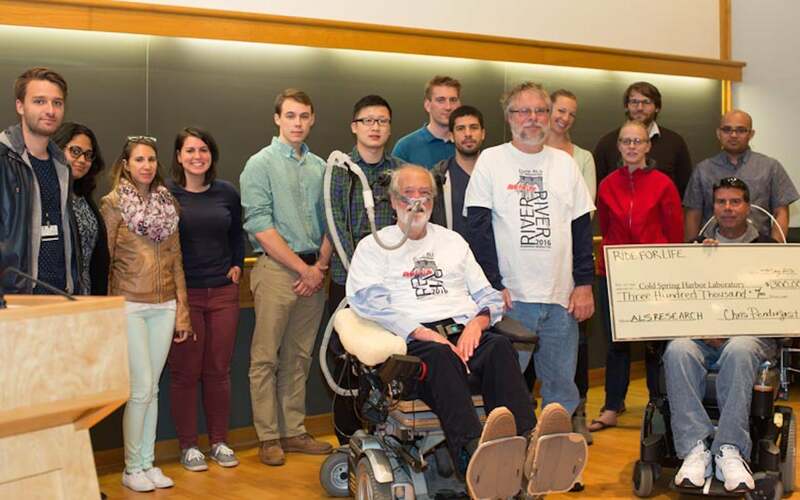 CSHL thanks Chris Pendergast and the rest of ALS Ride for Life for their support and inspiration. The people of the Ride serve as a powerful example for our researchers as they continue to strive to understand the disease and how to defeat it. CSHL Lab members join Chris Pendergast’s wife, Christine (center), on the final leg of the Ride For Life, over the Brooklyn Bridge into Manhattan.